Couple of years ago I was not feeling hungry for many days. Then I went to an Indian Grocery store and asked the storekeeper, is there something for this kind of problem and she recommend, ‘Lavan Bhaskar Churna’ which is very famous Ayurvedic medicine for indigestion and for many Stomach Troubles. Since then I always keep it in my home and whenever I need it, I eat it. It is also useful in loss of appetite. Lavan Bhaskar Churna is very tasty and beneficial in many problems, which are due to Vata and Kapha Dosha origin. It is a good combination of Ayurvedic herbs, so it is an effective Remedy for gastrointestinal disorders. All the herbs in this Churna are Natural and believed to support the gastrointestinal organs for their normal and effective functioning. It also helps in regular bowel movements and prevent constipation. It’s main ingredient is Salt. It is traditionally used in the bloating, gas problems, indigestion and Abdominal. It is very easy to get rid of gastrointestinal disorders Naturally, for example- the most important thing is to chew the food properly so that food is properly digested. Lavan Bhaskar Churna is a Natural herbal product, which gives indigestion relief without producing any kind of side effects! It is also safe for Kids, because it does not contain any harmful chemicals. It is very old Ayurvedic Medicine, which is used for improving digestion and and it helps stomach to digest food. Yes one thing is very important for all of us that we should avoid processed food, which is not good for health and takes a lot of time to digest. Nowadays due to fast life, we forget the value of home cooked food, which is more healthy and money saver as well. Even we don’t give Lunch to our school going children, but give them just snacks, which are harmful for the young children. I mean, to live happy, harmonious and peaceful life, it’s important to change your daily routine and do some Yoga postures, Meditation, Walk and of course eat healthy food all the time, which is more important than anything else. In my opinion healthy diet is most important than anything else and drinking a lot of Water. Instead of spending your precious time in doctors’ office, better to cook healthy, fresh and light food for yourself and for your family members, then you don’t have to find doctors. Three grams once a day after the food or ask your Ayurvedic Doctor. Lavan Bhaskar Churna and Side Effects of It! Basically all the herbs in this Churna are Natural, but higher dose may cause stomach irritation and burning sensations. How and Where To Buy Lavan Bhaskar Churna ? You can buy it in in any Indian Grocery store and from Amazon by clicking on the products listed below. Even if you want any other product other than these, you can search whatever you need by Going Here. Today there are so many Churnas available in the Market and I listed some of them only, which are available on Amazon.com site to buy online now for very low price. Just click on the name of the product and search about it to make sure whether it’s good for you or for your loved ones, then only buy. Happy Online Shopping, have a great day and come back again! Swami Ramdev Medicine Divya Lavan bhaskar churna is a great combination of ayurvedic herbs which is an effective remedy for gastrointestinal disorders. All the herbs in Lavan bhaskar churna are natural and helps in getting rid of all the signs and symptoms associated with gastrointestinal disorders. A person suffering from any gastrointestinal disorder may take this natural product regularly to get relief from pain in abdomen, lack of appetite, flatulence, constipation, feeling of fullness etc. The Natural Herbs used in Lavan bhaskar churna are found to best suited remedies for indigestion relief. 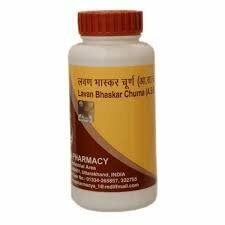 Lavan Bhaskar Churna – 1 kg Pouch is a traditional Ayurvedic formulation for maintaining healthy digestive system. Lavan means salt, which is its main ingredient, hence people with hyper acidity & kidney diseases or those who are advised restrictions on salts have to take care when taking Lavan Bhaskar Churna. 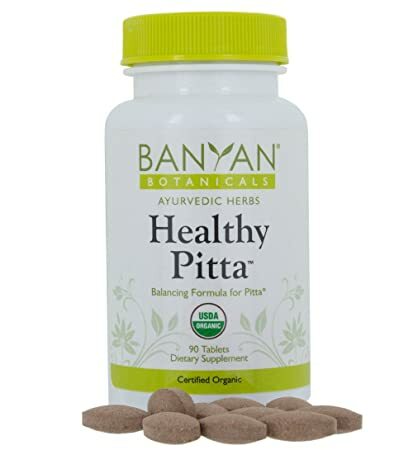 It helps balance the Vata & Kapha in the gastrointestinal tract. Lavan helps to make the food easily digestible by aiding secretion of saliva & gastric juices. Considered to be useful in loss of appetite, bloating, flatulence etc.